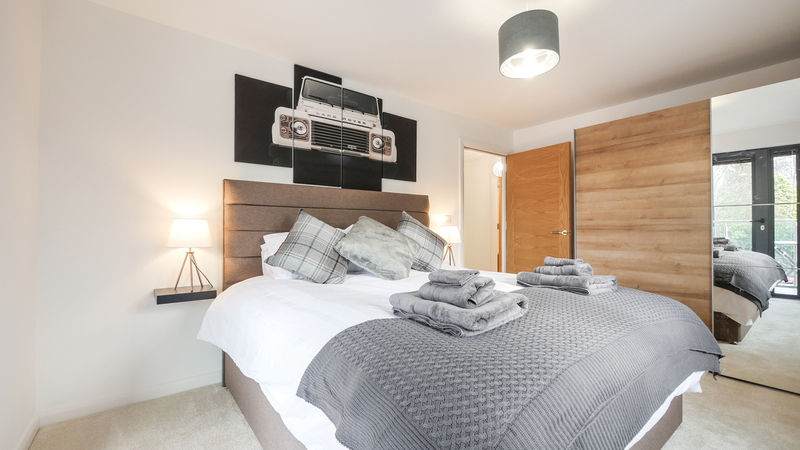 The Baker’s Dozen is an outstanding newly built luxury apartment, located in the town centre of historic Alnwick. 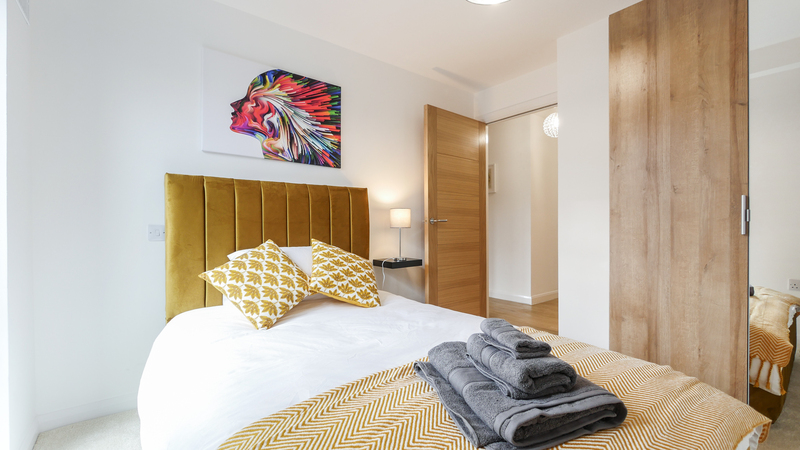 Comfortably sleeping 3 adults, this beautifully presented apartment is modern, light and airy, with luxury touches all around. 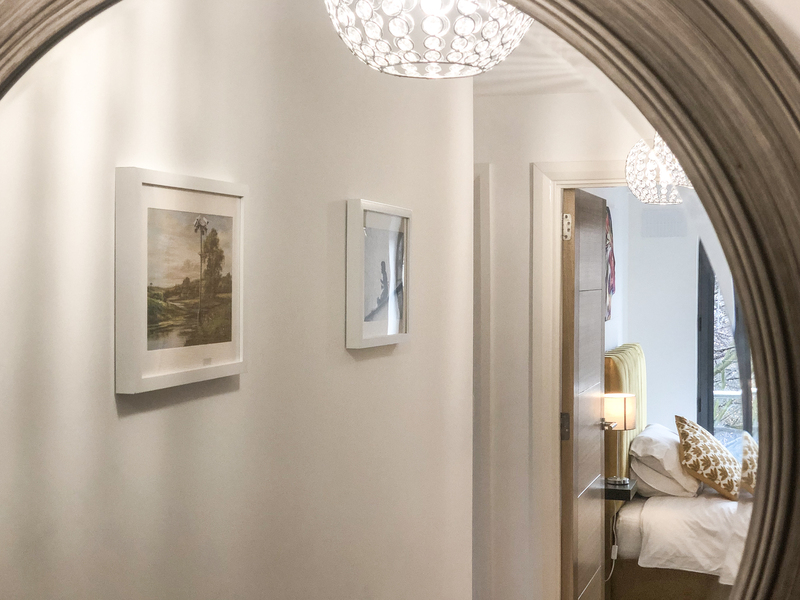 With contemporary decoration, a super king master bed, Smart TV’s in the lounge and bedrooms, Bluetooth speaker and an Xbox, The Baker’s Dozen perfectly mixes its deeply traditional and historic location with modern and hi-tech life. Arrive with comfort knowing that you can park your car safely in the designated private parking space without charge, and that you will arrive to a clean, warm and inviting haven to completely switch off and relax. Aptly named, The Baker’s Dozen is apartment number 13 in the glamorous new apartment building in Alnwick, The Maltings. 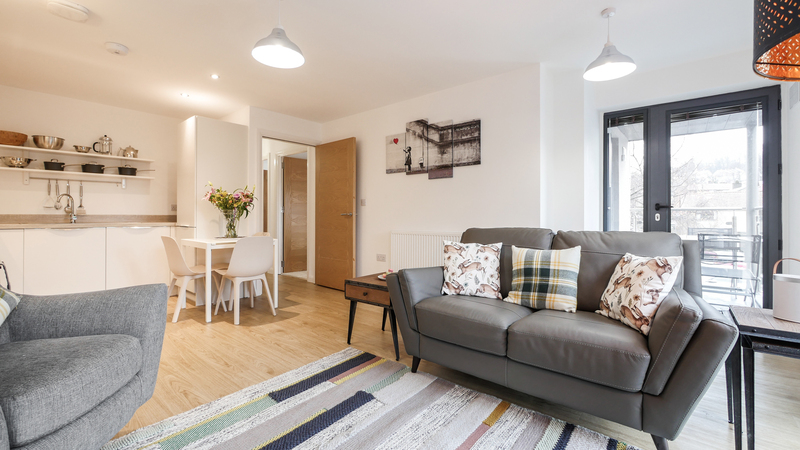 Centrally located, these gorgeous apartments once formed the traditional brewery in the centre of the town and have now been completed restored to be a collection of contemporary yet all individual living spaces right in the heart of this ancient Northumbrian market town. Within a few yards you reach the centre of Alnwick with it’s abundance of local shops, pubs, restaurants and cafe’s. Not forgetting Hulne Park, the gorgeous grounds that surround the Alnwick Castle estate which is open to the public. Less than 10 minutes easy walk to the entrance gate, Hulne Park is a beautiful estate with several trails from 1 mile to 12 miles long. This gorgeous apartment has free Wi-Fi and welcomes 1 well-behaved dog too. The Baker’s Dozen comfortably sleeps up to 3 guests in 2 bedrooms; 1 superking size room and 1 single bedroom. This makes the apartment perfect for couples looking for a romantic and quiet break away or small families looking for an easy and central base within Alnwick town and the rest of Northumberland. With an easy access procedure, private parking for 1 car and a light and airy space to relax in, The Baker’s Dozen is the perfect hassle free holiday location, especially with children. 1 well behaved dog is welcome here, with a medium sized metal dog ‘den’ available on request at time of booking. Children are of course more than welcome, and we can provide a travel cot and a highchair upon request. Free WiFi is available throughout the apartment. The entrance into the apartment building is into the main glass atrium. The Baker’s Dozen is on the second floor and you can choose the lift or the stairs to get there. All the access is completely level from car to door, and once you’ve reached the apartment, entrance is straight into the hallway. Leading straight from the hallway you’ll arriving into the bright and airy open-plan living space. 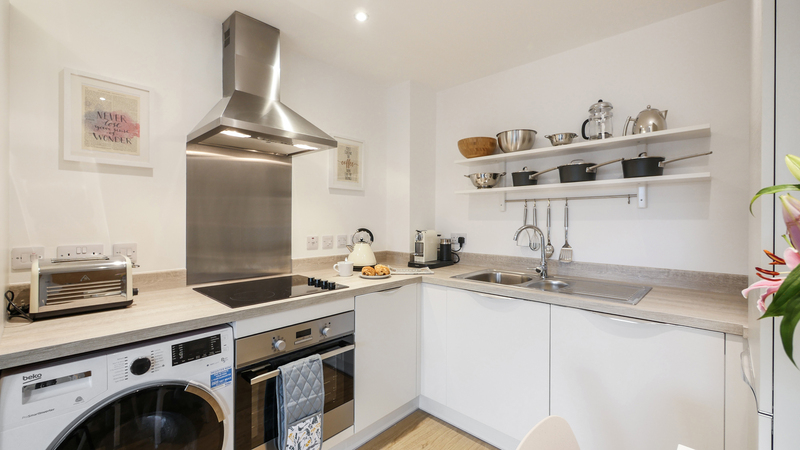 The kitchen is well equipped and contains the usual appliances and accessories such as an under-bench fridge and freezer, electric oven and ceramic hob, kettle, toaster, microwave, washer/dryer, Nespresso coffee machine (with an initial supply of pods) and cafetiere to enjoy fresh coffee. NB: there is no dishwasher. There is a small extendable dining table to seat 3 guests. The lounge has a 2 seater sofa and an armchair positioned around the Smart TV and Xbox one with a selection of games – but guests are advised to bring your own if you have a favourite! There’s a portable Bose Bluetooth speaker so you can enjoy your own music around the apartment. The speaker must not be removed from the apartment for obvious reasons. The lounge also leads out to the furnished balcony where you can enjoy drinks al fresco or just some fresh air. Dogs are not permitted onto the balcony at any time. The master bedroom has access out to the main balcony too, which is lovely to enjoy morning coffee in the sunshine straight from bed! This bedroom has a superking size bed (6ft wide) with plenty of storage space. There is a wall-mounted Smart TV, super-comfy mattress, luxury linens and fluffy towels and a hair dryer is also provided. All of the bedding is non-feather, which is suitable for allergy sufferers. The single bedroom is bright and airy with a Juliette balcony for lots of natural light and fresh air. This bedroom has a 4ft wide small double bed, but occupancy is limited to one person. All bedding is non-feather. Luxury linens, fluffy towels and a hair dryer are provided. NB: The Juliette balcony door is not lockable, so whilst there is a glass panel approx. 4ft tall, the apartment is not ground floor level and a metal bar is fitted across the balcony making it perfectly safe, this is just something to bear in mind for little ones. 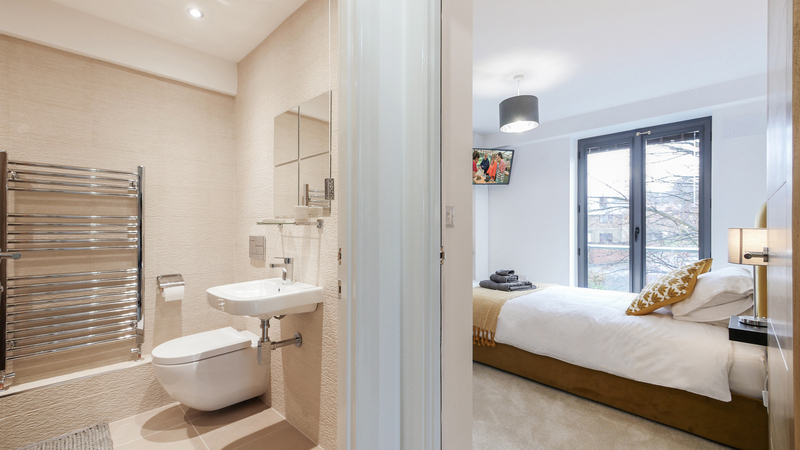 The bright and fully-tiled bathroom has a rainfall shower over the bath, wash basin, sink and heated towel rail. Complimentary toiletries are provided (brand TBC). At The Baker’s Dozen there is 1 designated parking space in the car park of The Maltings. Additional cars would need to be parked in an alternative local car park. There is lots of parking in Alnwick town using a ‘disc’ system, which is all free of charge. Just a stones throw away from chic restaurants, homely pubs and historic landmarks, The Baker’s Dozen is ideally situated between everything you could want from a Northumbrian relaxing break away. Bright colours in this light and airy apartment make it perfect for couples and small families looking to switch off and chill. Up to 3 guests and 1 baby welcome. 1 dog welcome for a charge of £20 per holiday. Booking Conditions apply and Dog-Sitting also available. A medium-size dog crate is available to erect should you wish. 1 bathroom with a bath with shower over, wash basin, WC and heated towel rail. Luxury complimentary toiletries provided (brand TBC). Plenty of towels provided. Two bedrooms; the master room has a super-king-size bed (6ft wide) and the single bedroom has a 4ft wide single bed. Fridge, freezer, electric oven and ceramic hob, microwave, toaster, kettle, Nespresso machine (with initial supply of pods) and cafetiere. Washer/dryer, iron, ironing board and vacuum. Hairdryer. Full central heating. Smart TV in the lounge with Freeview and Netflix. Smart TV’s in both bedrooms. Bluetooth speaker in the lounge. XBox One with small amount of games. Free Wi-Fi available throughout the apartment. There is private parking space for one car in an allocated bay in the car park outside the building. There are no ‘guest’ spaces in the apartment parking area. The west-facing balcony can be accessed from both the lounge and the master bedroom. The balcony is furnished. There are lovely walks in and around Alnwick Castle to enjoy on foot directly from the apartment. With all accommodation on one level and level access from the front door, this apartment is well suited to those with limited mobility, and lift access is available. Please note that in the family bathroom the shower is over the bath. The Baker’s Dozen is in a central location with all the amenities of Alnwick town on your doorstep, including magnificent Alnwick Castle and the world-famous Alnwick Garden. The stunningly beautiful Heritage coastline is just around 10 minutes drive away, and the necklace of pretty coastal villages strung along the Heritage coastline are crying out to be explored, from Amble in the south up to Bamburgh in the north. A drive across the causeway to Holy Island is not to be missed, and a boat trip to the nature reserves of the Farne Islands are unmissable too. Inland The Cheviot Hills and Coquet Valley provide fantastic walking and cycling opportunities and grand country houses such as Cragside, Wallington Hall and Howick Hall provide historical and gardening interest. At The Baker’s Dozen, you have the option of paying either a £150 refundable Good Housekeeping Deposit or a smaller non-refundable £12 Deposit Waiver, which covers you to the value of £150. Please choose which option you prefer when booking. Click HERE for more information. 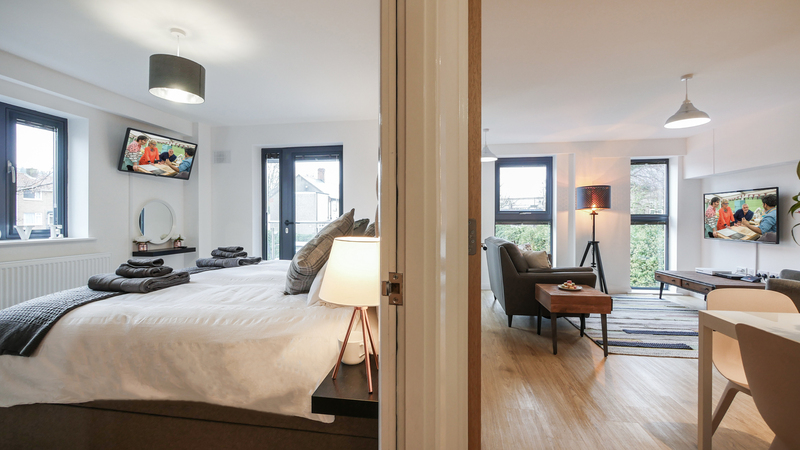 Here you can explore The Baker’s Dozen luxury holiday apartment in 3D virtual reality, click on the arrow to start, then use your mouse or touch screen to explore all areas. 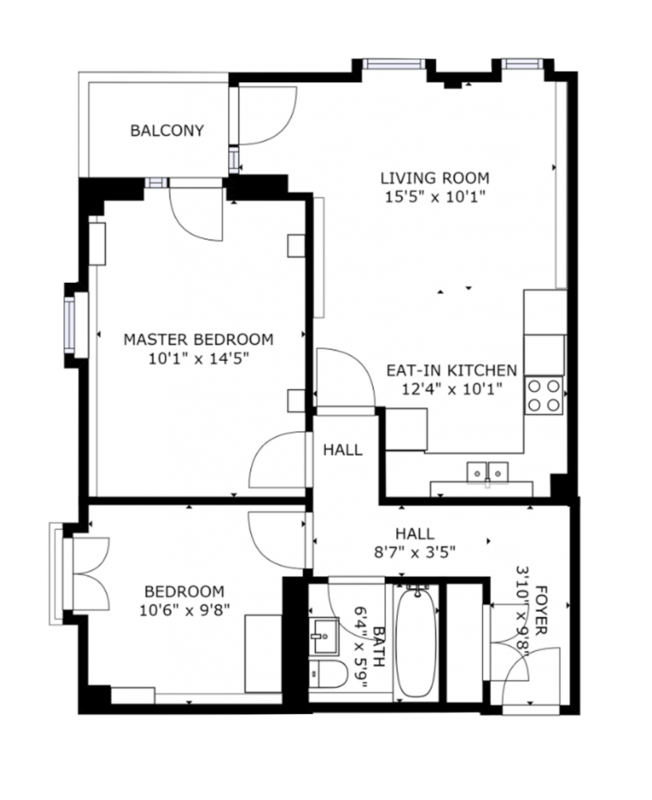 The floor plan is also available, just click on the image to expand. Formerly a local brewery that became dilapidated, The Maltings has been completed renovated to comprise of 37 luxury apartments that mix new contemporary design with original listed features. The Baker’s Dozen is one of these gorgeous apartments in the centre of historic and ancient Alnwick. The Baker’s Dozen is very well situated for exploring the town, eating out and going for walks, all without having to get in the car. You can reach Alnwick Gardens and Castle on foot, as well as the famous Treehouse. The closest entrance to Alnwick Castle is just 5 minutes walk away on Bailiffgate, but for the Treehouse it will take around 15-20 minutes on foot, but it’s an easy walk through the town. You can also discover the famous Barter Books in the centre of the town, which is no more than 10 minutes walk away from The Baker’s Dozen – this is a must in the cooler months to relax by the fire with a cuppa and a good book – a dog is welcome too! There’s lots of little shops, independent cafes and restaurants, as well as some great pubs around the town too. Twice a week, the market place has a farmer’s market. The nearest beach to The Baker’s Dozen is just 10 minutes’ drive in the car at Alnmouth, where you can park right on the beach and walk the length of the entire coast at Alnmouth, around 7 miles in total. You can explore the location of The Baker’s Dozen for yourself using Google Maps – just click here – the official postcode is NE66 1LN. Treat yourself to an Afternoon Tea at The Cookie Jar in Alnwick. Dine within the stunning, historic building of the former Convent of Mercy, in the cosy and stylish bistro. There is a full menu option, but the Afternoon Tea in particular is divine and very reasonably priced too. The Cookie Jar has a real luxurious feel throughout, and the staff are very friendly and welcoming. Just minutes walk around the corner from The Baker’s Dozen – we’d recommend booking in advance as it’s so good. Take a trail around Hulne Park which is less than 10 minutes from the apartment. There are lots of different routes to choose, ranging from just 1-2 miles up to a 10 mile trail, wrapping around the estate and down to the village of Lesbury and back. Visit their website to download the maps and trails to either print before you visit or to view on your phone. Dogs aren’t permitted in the estate but it still makes a lovely walk, especially in the autumn. You’ll have never seen so many beautiful pheasants! Hike up to Thrunton Woods! Just a 15 minute drive from the apartment, Thrunton Woods is a peaceful, impressive man-made forest and is a great place to let off some steam. Set in the wild moorlands, Thrunton Woods offers gorgeous views across the valley, from a few different walks of varying distance and difficulty. A great day out to get away from it all! Click HERE for some advertised trails and an ordnance survey map for the woods.